The sound and vision of a waterfall cascading down rocks into a pond or stream enhances a pond or water garden in a way no other water feature can. This Cal Pump Direct Drive Waterfall Pump is ideally suited for creating a waterfall that will further benefit your pond by oxygenating the water as it returns to the basin. This pump features a 0.50 Hp direct drive motor capable of turning 4900 gph at 1 ft. 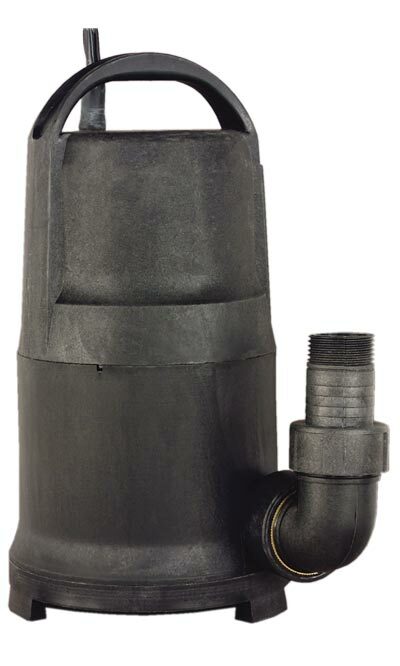 This pump accepts a male 1.25", female 1.25", female 1", or female 2" NPT threaded fitting or a 1.25" flexible PVC hose directly using the barbed adapter. Add a Plastic Prefilter Screen to elevate the pump from the debris on the bottom of the water feature. This hardy pump is perfect for powering a waterfall, biofilter, or stream in your backyard water feature. Six month warranty.